My sister, brother and I have since moved out as adults so my immediate family is scattered across several states, and in the case of my sister, another continent! I now have my own family, and even though that's just me and my son I've been pretty consistent with keeping the tradition alive in our house. As a single parent, my weekdays can get hectic and Saturdays are unpredictable, so Sunday evenings are the main night of the week we devote to quality family dinner time. Whether we have company or not, I still take the time to prepare Sunday dinner in the same manner I grew up loving. Because it's just the two of us I can be a little more creative with the type of cuisine, so I do stray away from traditional southern food these days. Regardless, it's not uncommon for me to spend two to three hours in the kitchen preparing a meal on a Sunday afternoon, if not longer. Yes, you read that right. No country for Rachel Ray's thirty minute meals over here. Cooking big meals by myself can be a bit of a challenge at times, but I wouldn't dream of trying to cheat my way through the time and effort it takes to make wholesome Sunday dinners from scratch. I put on an old t-shirt, some soulful R&B music (another habit I picked up from my dad), and get to work. What happened to the days of home-cooked meals and genuine, uninterrupted conversation? We live in fast-paced and disconnected world today, in which we often find ourselves in the habit of "catching up" with friends and family via online social networks rather than face to face time. Family dinners, if they happen at all, are often spent at a noisy restaurant or in front of the television. Fortunately, you don't need to have a spouse, 2.5 children and a white picket fence to uphold family traditions in your own household. If the Jersey Shore crew can recover from their hangovers in time to pull off Sunday dinner, so too can you. If you live alone, reach out to nearby relatives, friends or even neighbors who may also be in need of some company. If you have kids, involve them in the process even if they aren't old enough to cook yet. Have them help out with easy prep work or setting the table. 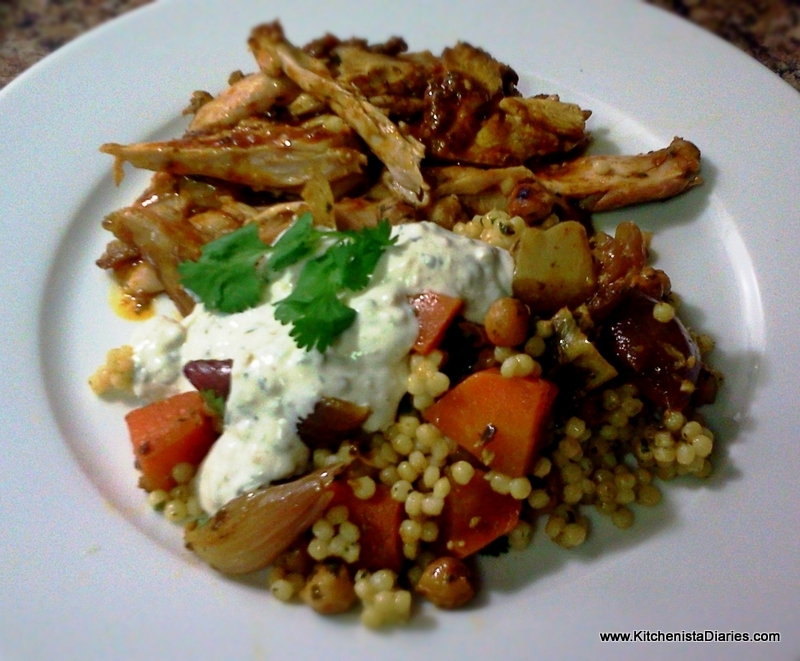 Plan your menu and shop ahead of time so that Sunday afternoon is as stress free as possible. Take the time to consider a couple side dishes that compliment your main entrée, and don't forget things like salads, bread, beverages and dessert, that help to make Sunday dinner a "special" meal for you and your guests. Most importantly, when it's time to sit down and eat, turn off the television, put away your cell phones and connect with the people in front of you. Savor the food, engage in genuine conversation, and create your own memories. P.S. 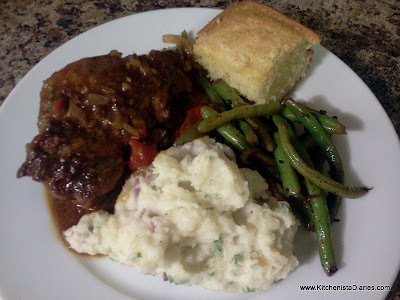 Check out Kitchenista Diaries blog posts labeled "Sunday Dinner" for great recipe ideas. Also be sure to follow me on twitter and tune in on Sunday nights for live #SundayDinner recipes. Welcome! I'm Angela, a self-taught home cook, food blogger, recipe developer, food photographer and mom of two residing in Virginia. 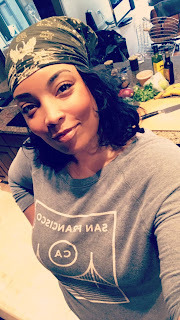 The Kitchenista Diaries has been my home since 2012, where I've shared my personal journey from accountant to culinary entrepreneur. I'm all about taking comfort food to the next level, and I believe every dish has a story. Join me in a candid exploration of the ingredients, techniques and tools that will make the food you love even better! Please note that my blog includes affiliate links, which help me to earn commission on items you purchase from my recommendations. 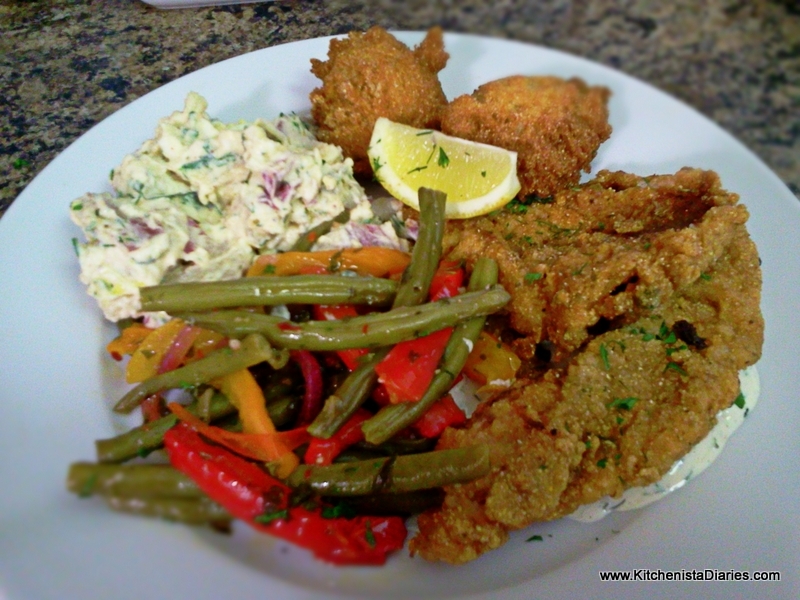 Welcome to The Kitchenista Diaries! © Angela Davis, 2012 - 2017. Unauthorized use and/or duplication of this material without express and written permission from this site’s author and/or owner is strictly prohibited. 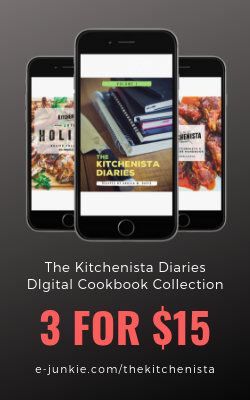 Text excerpts and links may be used, provided that full and clear credit is given to Angela Davis and The Kitchenista Diaries with appropriate and specific direction to the original content. Please contact angela@kitchenistadiaries.com to request permission to use original photos found on this site and associated social media platforms. A licensing fee applies for commercial use. © 2012 - 2018 by Angela Davis. All Rights Reserved.